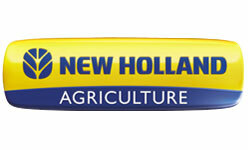 New Holland Agriculture customers will benefit from the announcement that parent company CNH Industrial and Farmers Edge, a Canadian-based agri-tech company focused on data-driven agricultural decision-support systems, have entered into a strategic digital agriculture agreement that will make available a portfolio of connectivity and agronomic solutions to New Holland customers. Through this agreement, New Holland will provide its customers with access to FarmCommand, a unique platform, that interfaces with the brand’s PLM™ Connect solution and further extends the range of planning, analysis, execution and agronomic decision making information available to them. 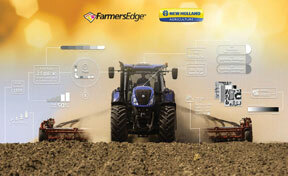 As the exclusive OEM partner of Farmers Edge, this service offers New Holland customers a tiered approach to agronomic services, with increasing levels of data and support available, enabling them to select the service – with a transparent per acre pricing structure – that best suits their needs. The entry level services focus on FarmCommand™, Farmers Edge cloud-based farm data management platform which analyzes data in real time and satellite imagery – in partnership with Planet Labs – providing daily satellite imagery for unsurpassed crop growth insights. This is progressively enriched with field-originated weather data – gathered from farm-based weather stations – vehicle data, and agronomic support, and tops out with variable rate prescriptions with either generic or zoned soil sampling services. This partnership not only foresees digital support, as customers selecting the premium packages will also have access to on-farm, in-person agronomist support, to develop and monitor tailored agronomic plans. This agreement will allow New Holland customers to connect their current and legacy machinery fleets with CAN bus functionality to the Farmers Edge platform. This will deliver tangible gains in all three key stages of the crop data cycle: collection, planning and execution, and offers one of the most complete solutions on the market, going well beyond the standard API data sharing connection. It can also be used with mixed-fleets, further enhancing customers’ choice. This is a fundamental element of the New Holland PLM™ approach to precision farming solutions, which empower customers to select the service or tool which is right for them and enable them to maintain control of their data with opt-in logic. As the system utilizes the 3G and 4G telecommunications network, connectivity is retained, even in the most remote areas. New Holland dealers will offer the Farmers Edge suite of services, facilitating them in proactively supporting their customers, as this platform will enable sharing of real-time machine information with their local New Holland dealer, enabling them to receive enhanced product support services. 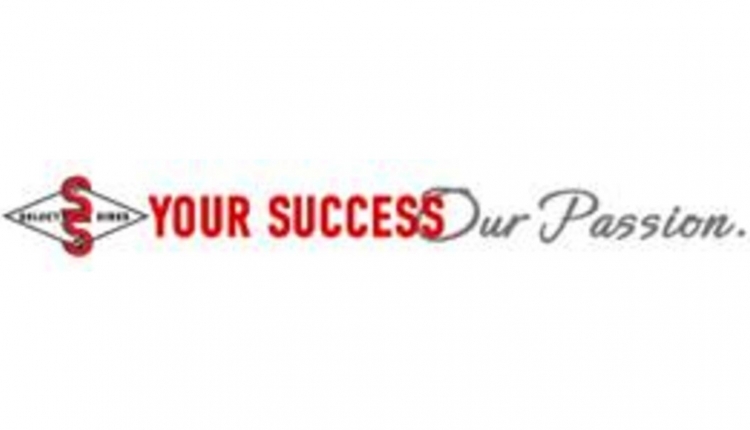 This solution will undergo a phased roll-out, starting in the first quarter of 2019 in North America, and will subsequently become available in other regions and countries, including Latin America and Europe and certain markets in the Asia Pacific region. CNH Industrial and Farmers Edge are also committed to developing unique solutions, which will be of benefit to New Holland customers, to further enhance their whole-farm productivity and profitability.